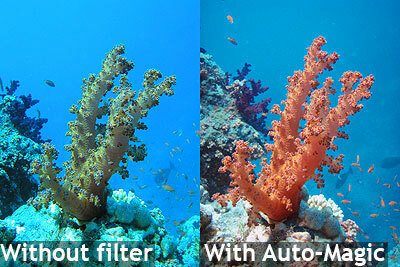 Auto-Magic filter for external mounting on digital Compact camera housings. The AMS is a 3mm thick acryllic filter available in a variety of sizes and in a variety of mounts to be used externally on a range of underwater housings for compact cameras and videos. Being external mounting it can be added and removed during a dive. See this page for details on the various sizes that we currently offer the AMS in. The price of AMS filters depends on their size and the complexity of their mount, prices currently vary between £39 and £75 GBP. 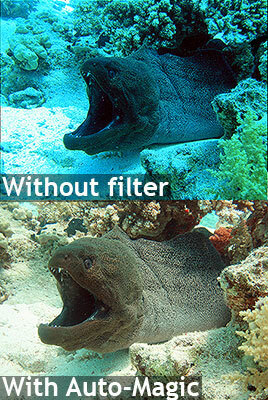 There is no discount for three packs of these filters.